A Beginner’s Guide To Moonshine Distilling Folding Guide - Laminated, Compact, Illustrated, Step-By-Step Instructions | BUDK.com - Knives & Swords At The Lowest Prices! 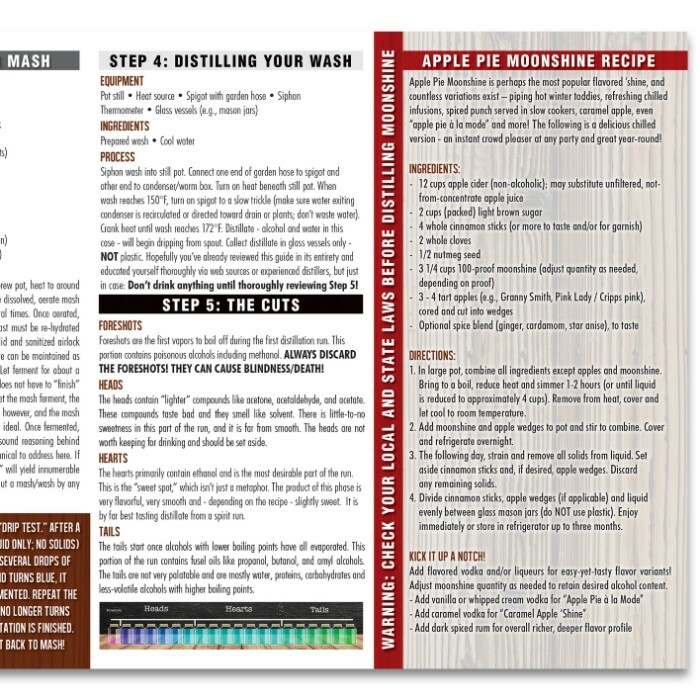 A Beginner’s Guide To Moonshine Distilling is a simplified folding guide that takes you through the process of distilling moonshine, using a traditional still. 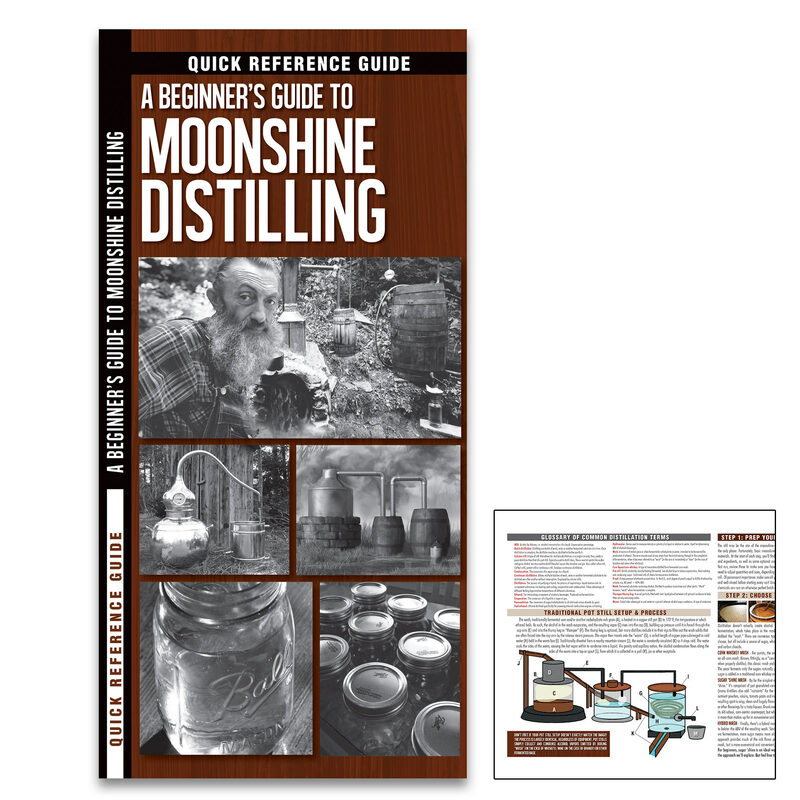 This beautifully illustrated guide gives you a brief description of what moonshine is and an overview of the different types of stills that can be used to produce it. Then, it gives step-by-step instructions of the process and what is needed to complete each step. It also includes a glossary of common distillation terms and a recipe for Apple Pie Moonshine. 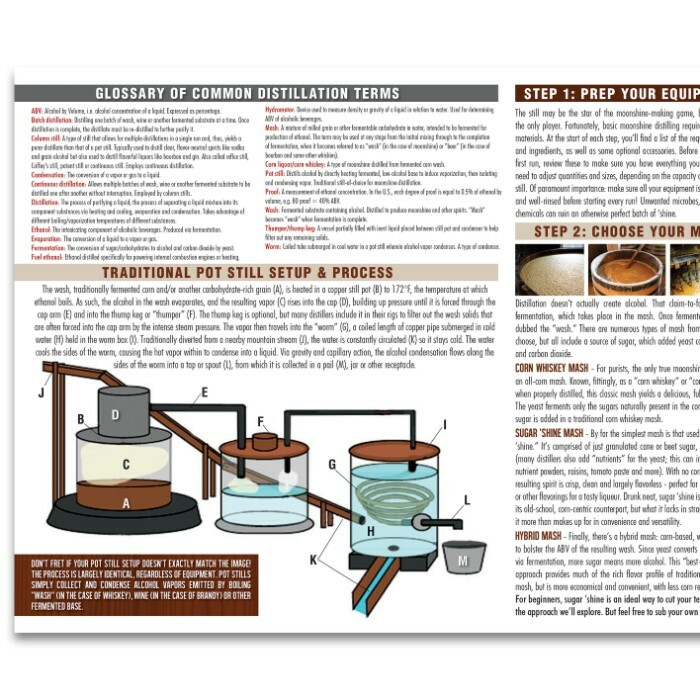 This convenient guide is an ideal, portable source of practical information about the distillation process and is ideal as a quick reference guide.